EASYPAVE LTD is a business based in the beautiful Wiltshire city of Salisbury, with over 20 years’ experience. We put our clients first on every job from start to finish. No project is too small or too big, and we offer free onsite discussions/surveys in order to evaluate your exact needs and requirements and then put forward our recommendations together with our free quotation. We carry out all works using the best raw materials available within the market place to produce jobs of the highest quality. All our work is carried out by fully trained professional tradesmen with a definite pride in their work. 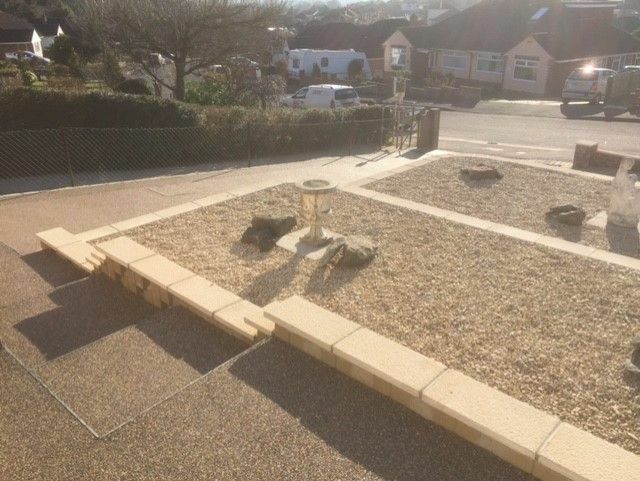 Whether your project is domestic or commercial EASYPAVE LTD are dedicated to providing a first-class installation of your required project, tailor made to your very own individual needs and budget. 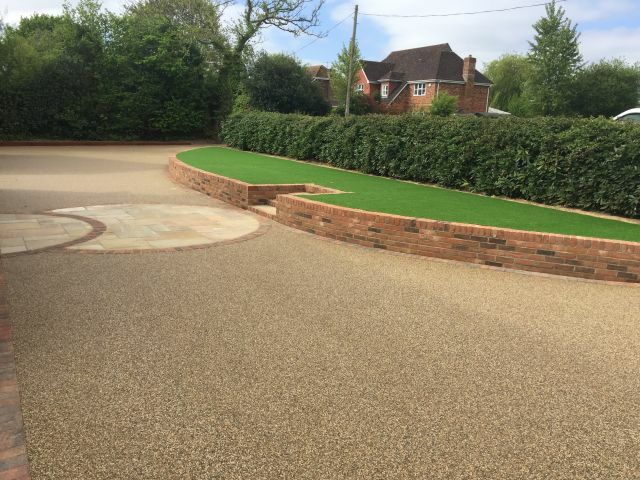 We take sincere pride in our work and are proud to be one of the main resin bound stone suppliers and installers in the South. Easypave is a unique paving system which consists of a kiln dried natural aggregate combined with a UV resistant aliphatic polyurethane resin. Easypave has many advantages such as it is extremely hard wearing, Suds compliant, porous, water does not puddle, anti-slip, easy to maintain and of course very attractive. If you wish for a natural gravel look without all those loose stones combined with a beautiful seamless finish, then Easypave is the answer. We cover all residential areas such as driveways, courtyards, patios, paths and steps. We also cover commercial areas such as car parks, schools, forecourts, pub gardens, tree pits and many more (please see gallery). Whether it is a contemporary or a rustic look you are after then this is all possible with the right colour stone choice, edgings and profiles. Whatever your project, Easypave will suit all surroundings. Here at Easypave we pride ourselves on using only the highest quality raw materials available in the market place to date, our choice of natural stone is vast with options to mix and match allowing you to customise your desired project. Easypave is protected from all UV rays as we ONLY use a UV resistant aliphatic resin in ALL of our applications. The process of mixing the natural stone with the UVR resin is all done on site in a specialised forced action mixer. We only use specialised engineered mixes to which have been tried and tested to the highest standard ensuring we have the strongest product in the market place. All of our team members are fully trained, polite and courteous and dedicated to carry out a first-class installation every time, tailor made to your very own individual needs and budget. We here at easypave are so confident in our product and team members we offer a full 5 year guarantee on all installations. 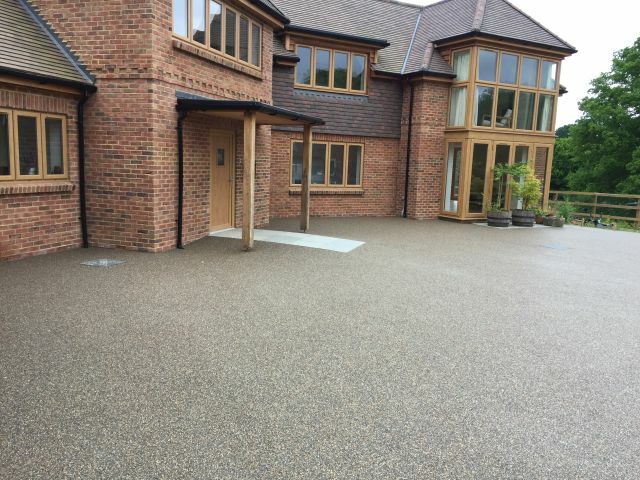 We are very pleased with our resin drive, Chris and his team were excellent from start to finish, friendly, obliging, efficient and a pleasure all round to do business with . we would recommend Easypave to everyone wanting to improve their home. Since having easypave on my driveway I have not looked back. Chris and his team kept me informed throughout the whole project and couldn’t fault their workmanship and time keeping. Thoroughly recommend Easypave to anyone wanting resin stone surfacing. I cannot recommend Chris and his company highly enough. I have dealt with many tradesmen during a new build house project and Chris was probably the best. He was always a pleasure to do business with, always turned up on time , produced high quality work whilst keeping the site tidy and all at a competitive price. Would definitely use again on other projects without hesitation.